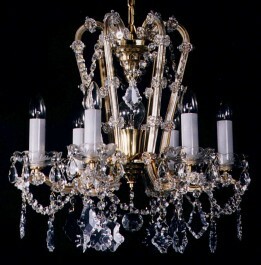 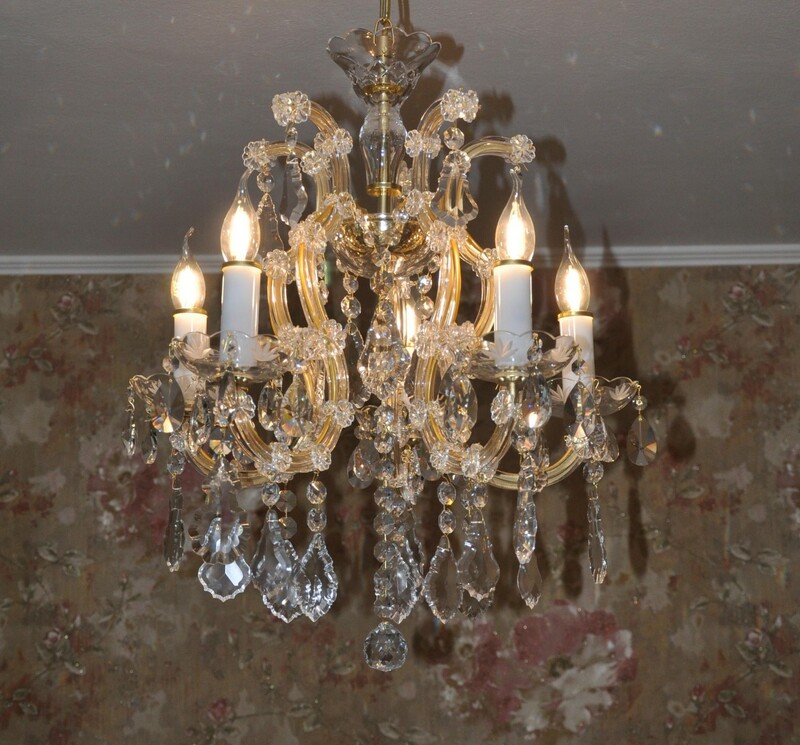 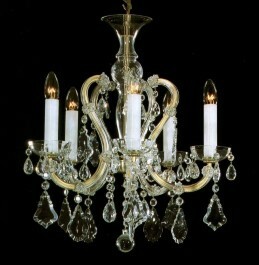 Small Maria Theresa chandelier with gold metal finish, 5 Arms, cut crystal pendeloques. 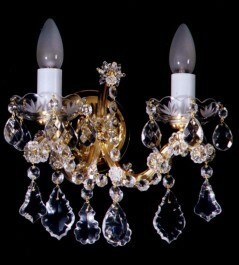 The chaindelier is suitable for lighting of smaller spaces - e.g. 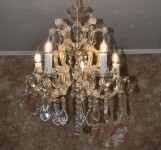 the smaller bedroom, hotel reception and the like. 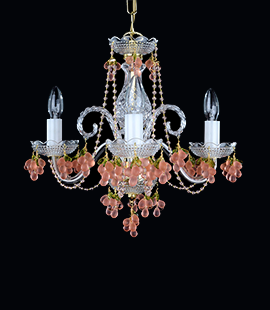 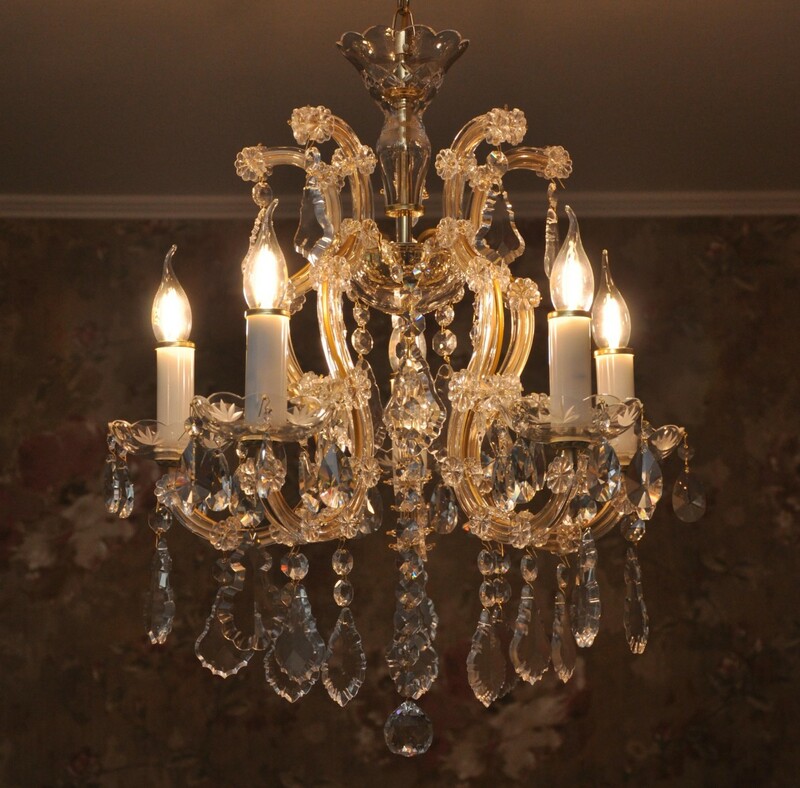 The small Maria Theresa crystal chandelier with gold metal finish (polished brass). 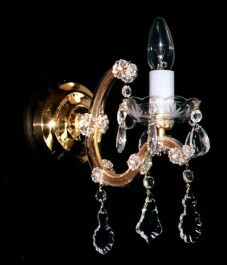 You can order metal finish: Silver (nickel coated brass), Gold Brass, or brown stained antique brass. 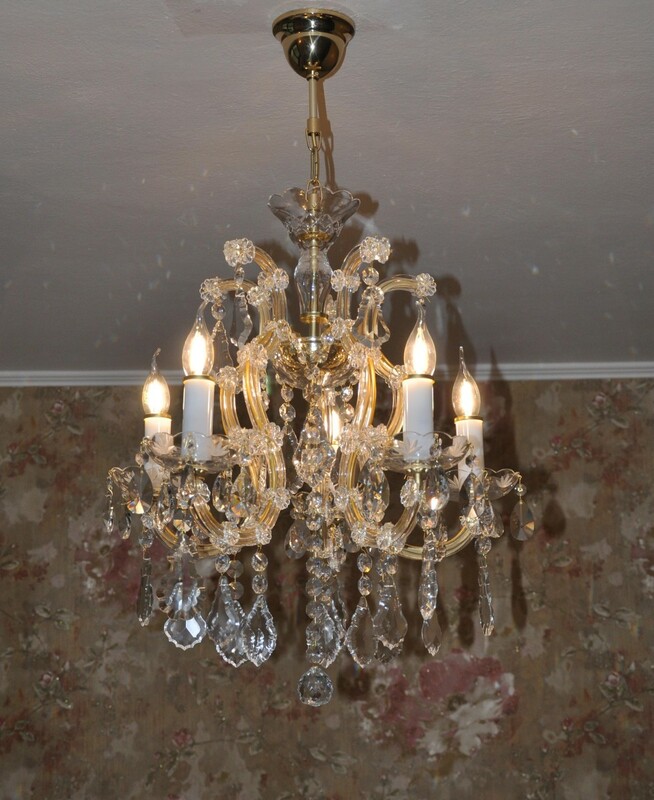 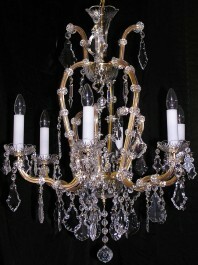 This chandelier can be ordered with almonds or flat Pendeloques trimmings.